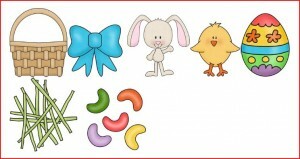 Now that St. Patrick’s day is over…we are now focusing on Easter Activities! If you didn’t see my post yesterday, I posted a cute and CHEAP game you can make yourself called Bunnies in the Grass (for only $2!!). 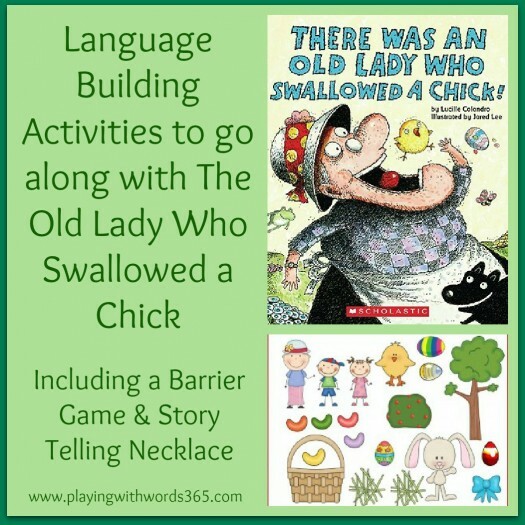 Today I am going to share some activities to go with There Was an Old Lady Who Swallowed a Chick! The barrier game actually can be used without the Chick Book. I included many different images (including bushes, trees, and a few different Easter Eggs) so that it can be used just as an Easter Activity! 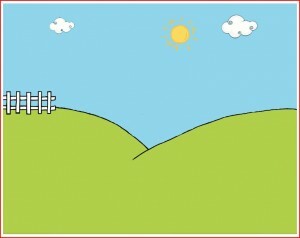 You can grab your own copy of the barrier game (directions included) HERE. You can also grab your own copy of the story telling necklace (directions included) HERE. 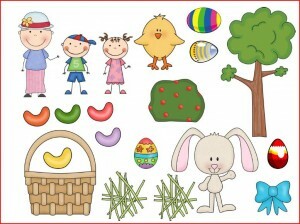 I have some other Easter Activities planned to share with you soon! 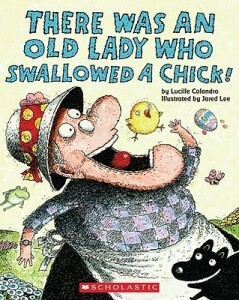 And be sure to check in Friday for another activity to go along with the Chick Book! What books are you reading with your children or students the next couple weeks? I’d love to hear! After Easter we are going to start celebrating Spring with some insect and flower books! thanks!! I was waiting for you to make a post on this book! Can’t wait to use it with my son and students. Great and cute! Using it tmrw in EI! Awesome!!! Let me know how it goes! Elizabeth THANK YOU!!! I’ll head over and take a look!